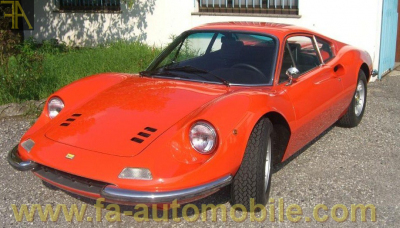 Very beautiful Dino 246 GT series E. Color Rosso Dino interior seats beige and black Daytona. No trace of accident was found, perfect working condition. Available immediately. European papers.